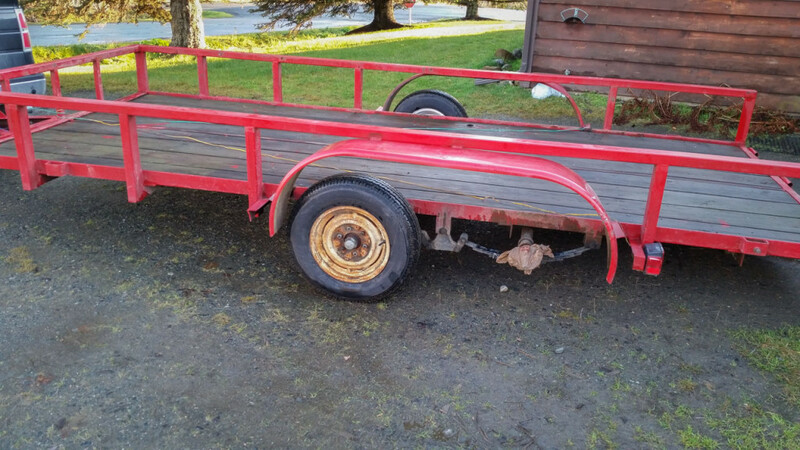 If you’ve been reading this blog, you know I’ve spent a fair amount of time working on improving a flatbed utility trailer I purchased a few months back. When I last left you, I had new wheel hub/brake assemblies on order, all of the old wiring removed, and the trailer still parked in my driveway. Oh how things have changed. The weather was starting to make a turn. The days were getting wetter and colder. I knew the last thing I wanted to do was work on the trailer in my driveway in the rain, sleet, and eventually snow. Thankfully the shop space I’m renting for the bus also had room for my trailer. However, at this point, I’d removed all of the lighting and both hubs on the rear axle. So naturally, I improvised. I threw the taillights back on, temporarily rigged up the 4-pin connector to the truck, wrapped the spindles in plastic bags to keep the junk off of them, and brought it a few miles away to the shop. It’s about time our bus made its official debut. 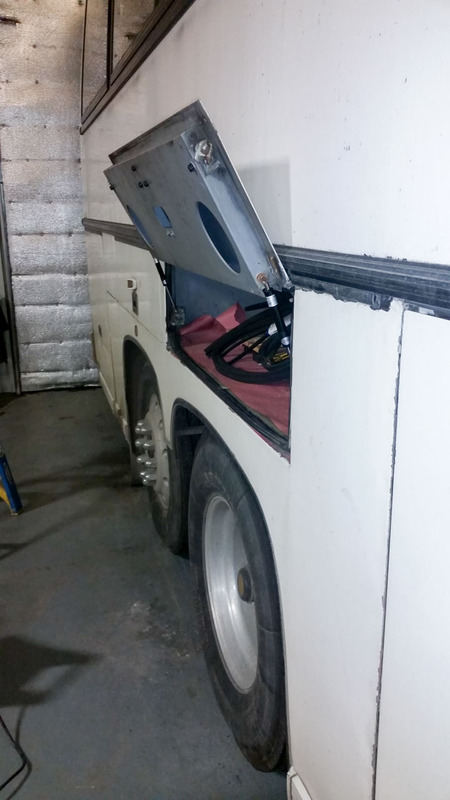 As we’ve mentioned before, we own a vehicle that once enjoyed life as a coach bus. One of the outstanding items that’s been driving me bonkers since we bought it, is the lack of any functioning air springs on all of the various storage compartments. Nothing’s more obnoxious when you’re digging for a tool, or trying to work inside a storage compartment and having the door swing down on your head or back. Or having to find a scrap of something to prop the door up. That got old, fast. So now you know the why. Before I jump into the how, I’d like to show you something never seen on our bus for as long as we’ve owned it, and likely for years prior.